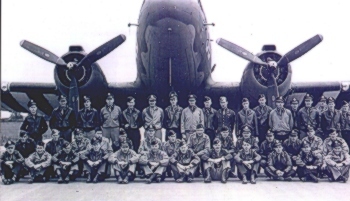 Constituted as 441st Troop Carrier Group on 25 May 1943. Activated on 1 Aug 1943. Used C47's to train for overseas duty. Moved to England, Feb-Mar 1944, and assigned to Ninth AF. Trained and transported cargo in the United Kingdom until Jun 1944. 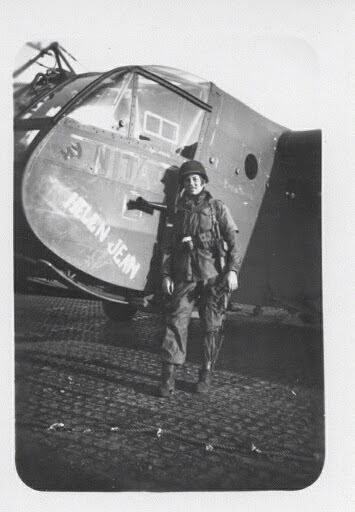 Began operations during the invasion of Normandy, dropping paratroops of 101st Airborne Division near Cherbourg on D-Day and releasing gliders with reinforcements on 7 Jun, being awarded a DUC for carrying out these missions. Following the operations in Normandy, the organization transported cargo in France and the United Kingdom until part of the group went to Italy in Jul 1944. In Italy it made scheduled flights between Grosseto and Rome, transporting supplies and evacuating patients. When the Allies invaded southern France in Aug 1944 the detachment in Italy dropped troops of the 509th Parachute Infantry Regiment along the Riviera on 15 Aug and hauled gliders with reinforcements later in the day. After the detached echelon returned to England on 25 Aug, the group resumed its cargo missions, then moved to the Continent in Sep 1944 for further operations in support of the advancing Allies. 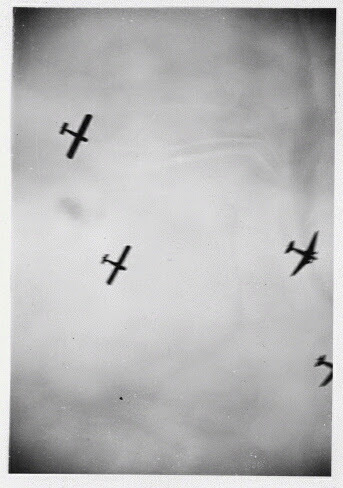 Dropped paratroops of 82d and 101st Airborne Divisions near Nijmegen on 17 Sep during the air attack on Holland, and towed gliders with reinforcements on 18 and 23 Sep. In Dec, transported ammunition, rations, medicine, and other supplies to troops of 101st Airborne Division surrounded by the enemy at Bastogne. 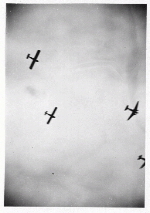 Released gliders carrying troops of 17th Airborne Division near Wesel on 24 Mar 1945 when the Allies launched the airborne assault across the Rhine. Hauled gasoline to armored columns in Germany after the Allies crossed the Rhine. Continually transported freight and personnel in the theater when not participating in airborne operations. Evacuated casualties and prisoners who had been liberated. Remained overseas after the war as part of United States Air Forces in Europe. Continued to transport personnel and equipment, using C-46, C-47, and C-109 aircraft. Inactivated in Germany on 30 Sep 1946. Flight Officer James R. Field and a fellow pilot in the pilot seats of a glider.